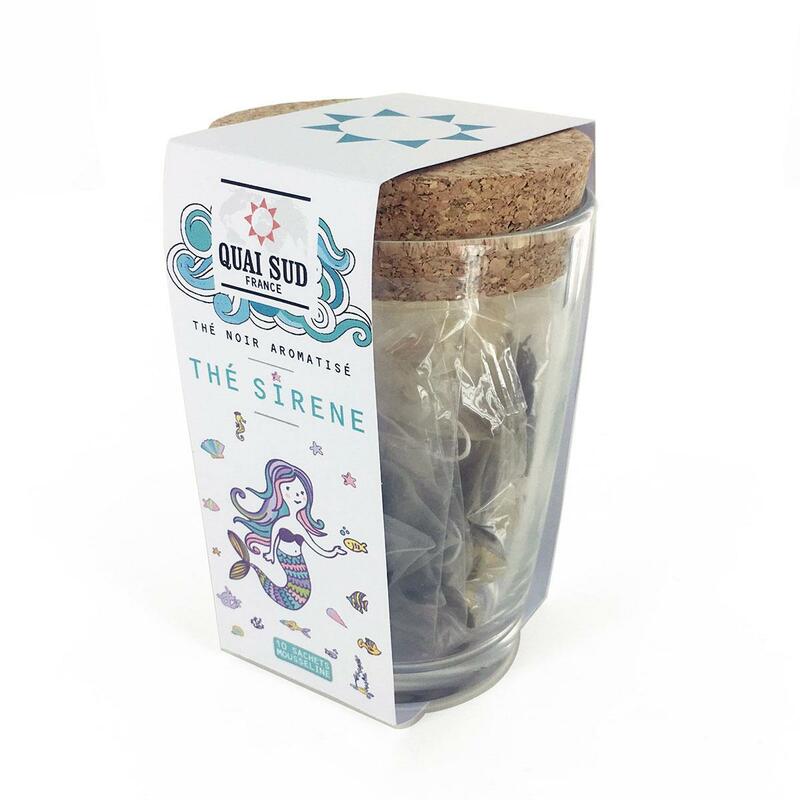 Mermaid tea is a wonderful vibrant blend of red berries, vanilla and black tea. Just use one tea bag, add simmering water for 3-5 minutes, then add sugar to taste. 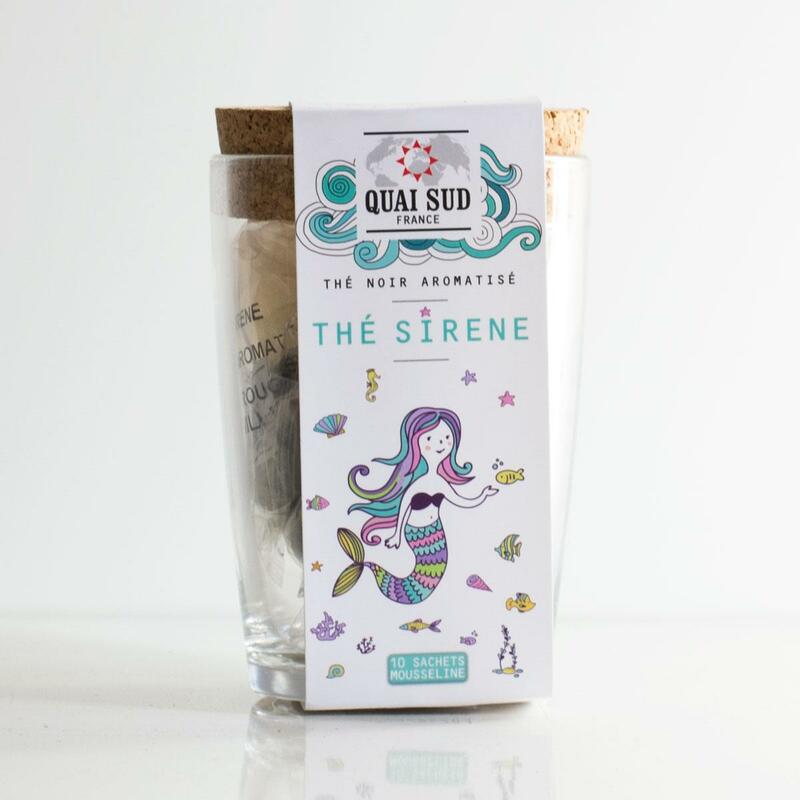 This blend should tingle the senses and make you feel like you're gliding through the oceans. 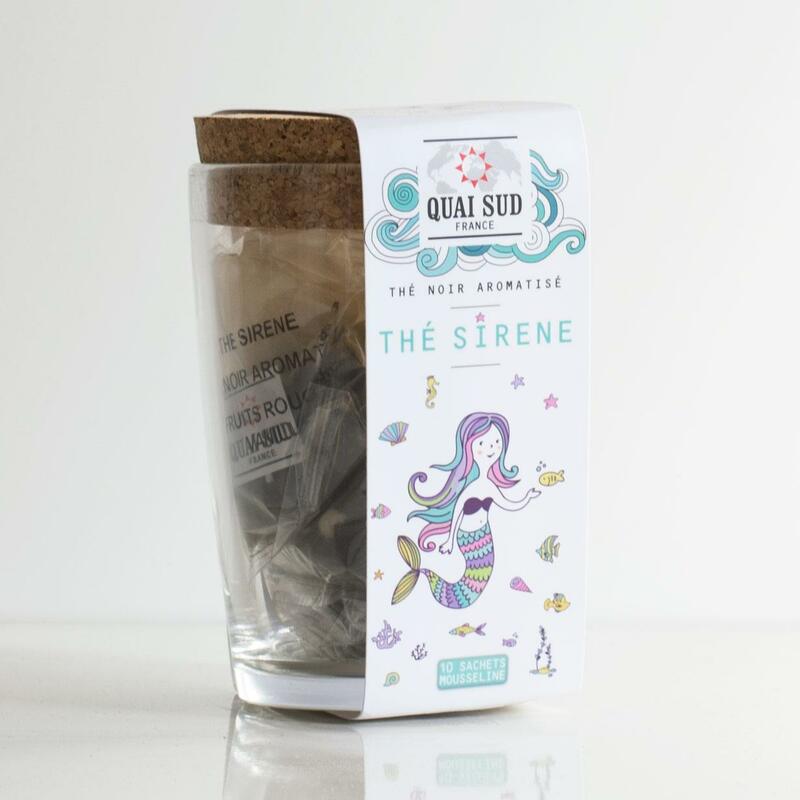 black tea from China, shell sugar sprinkles (sugar, rice flour, cocoa butter, thickening agent: tragacanth), flavour (2.8% vanilla, 2.1% mulberry-raspberry, 2.1% red fruits), 1% mulberry pieces, 0.7% strawberry pieces and 0.7% raspberry pieces (raspberries, sugar, E202, E509, citric acid, sunflower oil, dextrose).